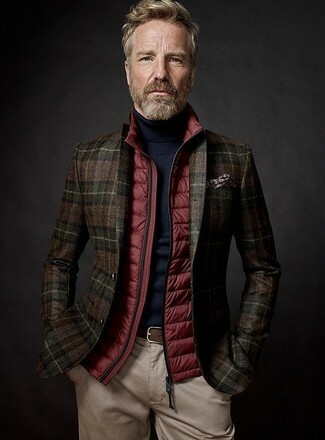 If you're after a casual yet stylish ensemble, try teaming a red quilted gilet with black jeans. Both garments are totally comfortable and will look great together. Channel your inner Ryan Gosling and go for a pair of dark brown leather casual boots to class up your ensemble. 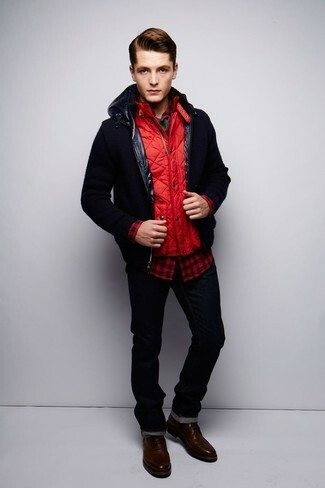 Pair a red quilted gilet with blue skinny jeans, if you want to dress for comfort without looking like you don't care. Grab a pair of dark brown leather work boots to make the getup more current. If you're on the lookout for a casual yet stylish outfit, marry a Canada Goose freestyle vest gilet red with charcoal chinos. Both items are totally comfortable and will look great together. Turn your sartorial beast mode on and grab a pair of black leather casual boots. 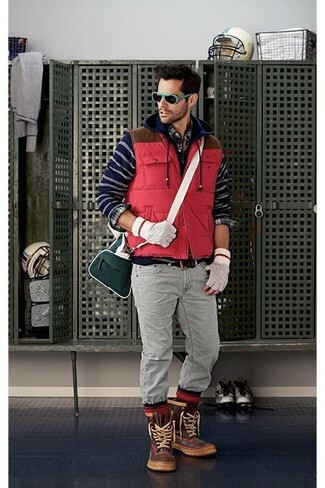 If you don't like spending too much time on your getups, go for a Canada Goose freestyle vest gilet red and blue jeans. Perk up your ensemble with tan suede derby shoes. 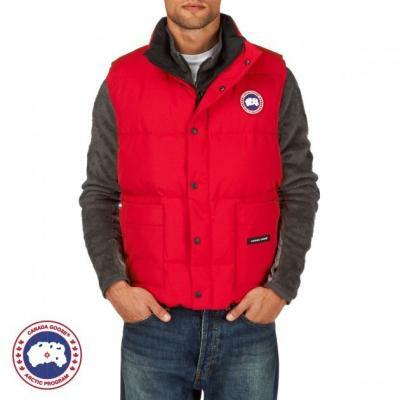 If you're after a casual yet dapper outfit, consider pairing a Canada Goose freestyle vest gilet red with grey jeans. Both items are totally comfortable and will look great paired together. Brown snow boots will add a sportier vibe to your look. 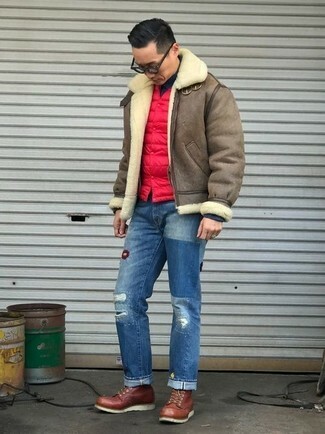 If you prefer practicality dressing when it comes to fashion, you'll love this simple combo of a Canada Goose freestyle vest gilet red from Surfdome and blue ripped jeans. Throw in a pair of brown leather work boots to make the look current. To assemble a casual outfit with a modern spin, choose a red quilted gilet and navy jeans. For something more on the daring side to round off your look, introduce brown leather work boots to the equation. 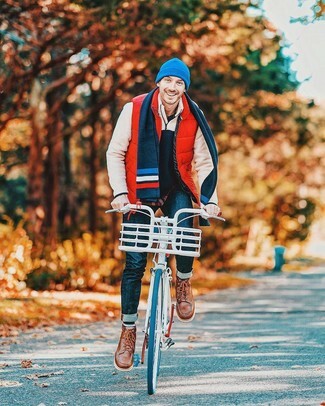 If you're looking for a casual yet seriously stylish getup, try pairing a Canada Goose freestyle vest gilet red with beige chinos. Both garments are totally comfortable and will look great paired together. For an outfit that provides comfort and style, opt for a Canada Goose freestyle vest gilet red and brown chinos. To add more class to your ensemble, finish off with dark brown leather casual boots.